Please click artwork to download. Images will open in a new tab, right click and Save As... to download. Please click on a video to view. In 2013 Jeffrey Schab and Wade Giles lost their beloved horse, Snoop, to a rare colic event overnight. Snoop lived just a short 8 years and died alone in his stall. Following Snoop's death, Jeffrey was driven to make a difference, and assembled a team of passionate science and technology professionals to find a solution that could combat the devastating impact of equine colic. 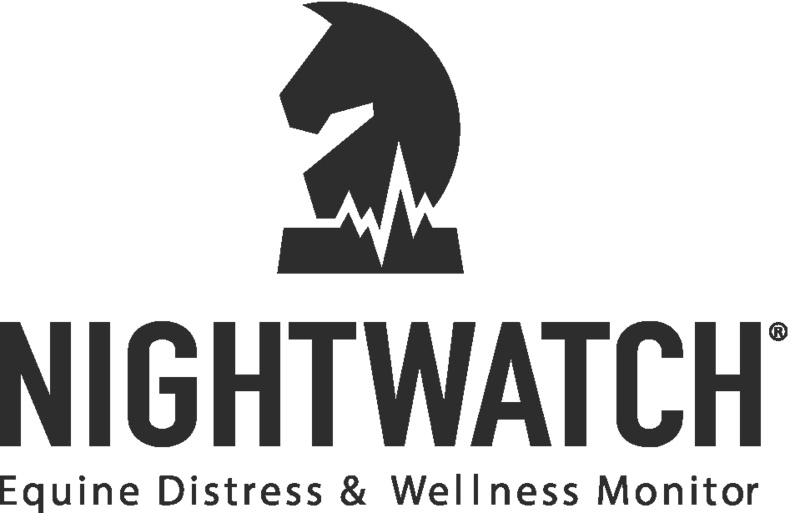 For the first time, sleep a little easier knowing a new invention, NIGHTWATCH, is there when you can't be by remotely monitoring your horse and alerting you at the first signs of danger/distress, such as colic, being cast, and foaling. Every horse and every rider has a use for NIGHTWATCH. But don't just take our word for it... See what everyone else is saying about the world's first smart halter. USDF Gold Medalist, Lauren Sprieser, discusses the unfortunate reality of colic, but how NIGHTWATCH is a game changer by helping us get to them sooner. Dressage competitor, Chase Shipka, discusses the peace of mind she now has knowing her NIGHTWATCH device harmonizes with each of her horses. AOR and breeder, Chase Chamberlin, discusses the need for more access to empirical data on our horses and how NIGHTWATCH is that solution. The NIGHTWATCH® smart halter™ is a lot of things... But they all add up to peace of mind when you can't be with your horse. Learn more at nightwatch24.com and order yours today. The Land Rover Kentucky Three-Day Event is often coined as "the best weekend all year," but it was extra special for the NIGHTWATCH® team. After 4.5 years in development, NIGHTWATCH® is now available for purchase in the US and Canada. Thank you to all who visited our booth and purchased their own NIGHTWATCH® devices. Each day 150+ horses in the US will die of colic. What if they didn't have to? What if you could be alerted to a problem? Now you can be. 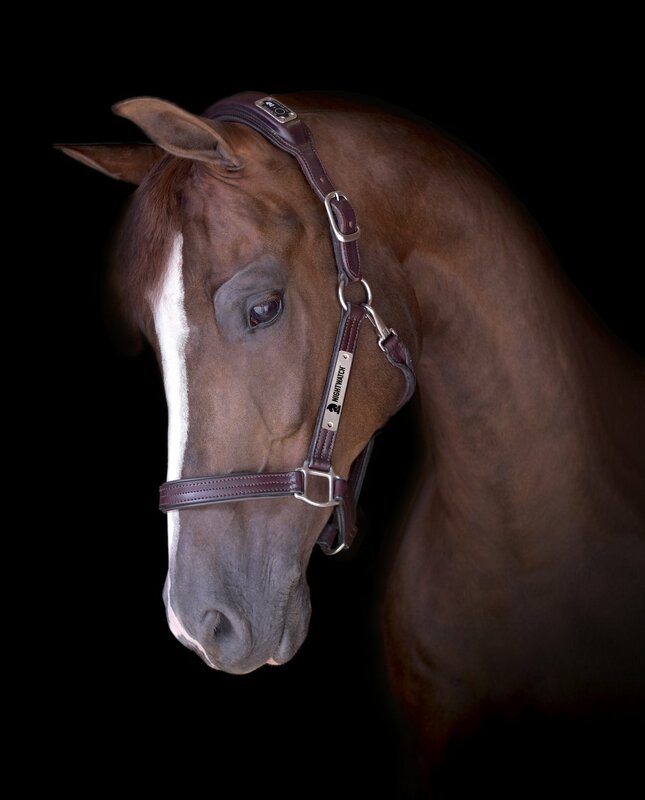 The World is going mobile...and so is your horse's halter. Enabled with both cellular and Wi-Fi technology, the NIGHTWATCH® smart halter™ lets you remotely monitor your horse and stay connected at all times no matter where they are. Colic is the leading natural cause of death in horses, and the AAEP estimates that more than 900,000 horses in the US will experience an episode of colic this year. However, if caught early 85-90% of these cases can be treated medically and without the need for invasive surgery. 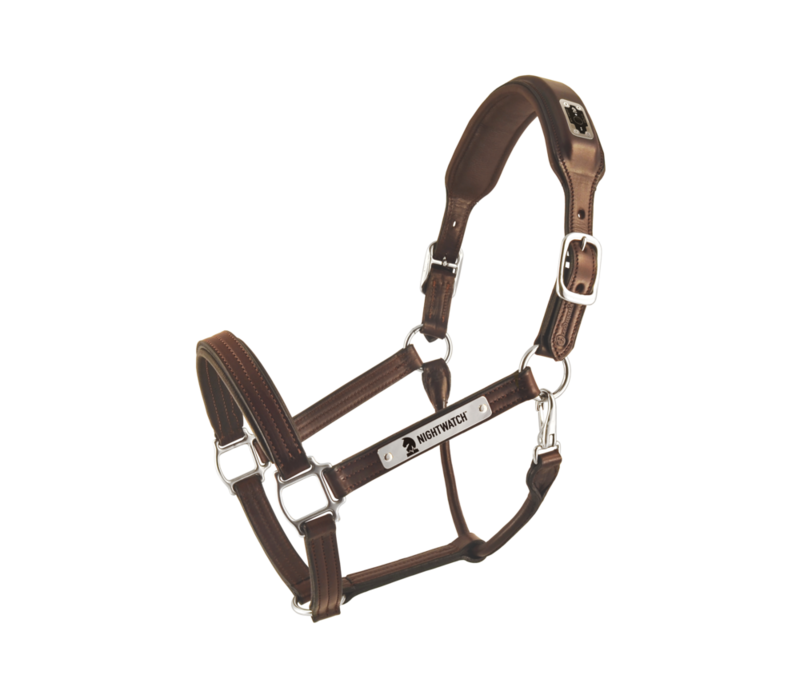 Each NIGHTWATCH® smart halter™ has electronics embedded within the padded crown to monitor your horse's vital signs (HR, RR) and behaviors (activity, motion, posture), alerting you at the first signs of distress (eg, colic) . 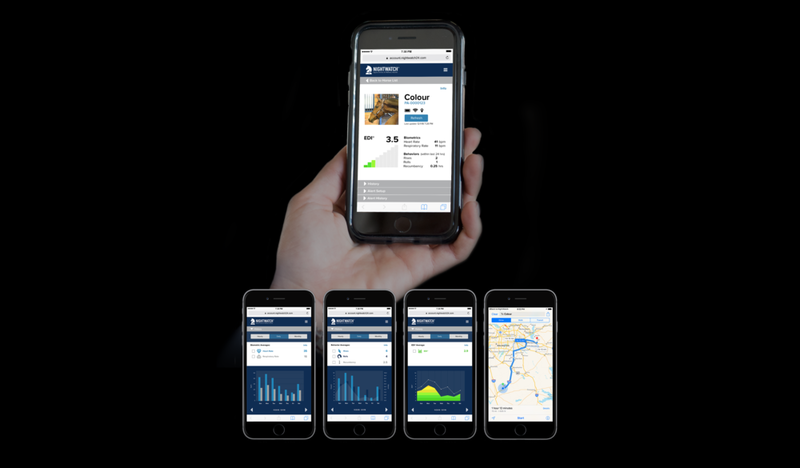 NIGHTWATCH® is the World's first smart halter™ that monitors real-time data on a horse's vital signs & behaviors, alerting a caretaker on their mobile device at the early signs of distress, such as colic. This innovative device is in late-stage development and offered exclusively by Protequus®. 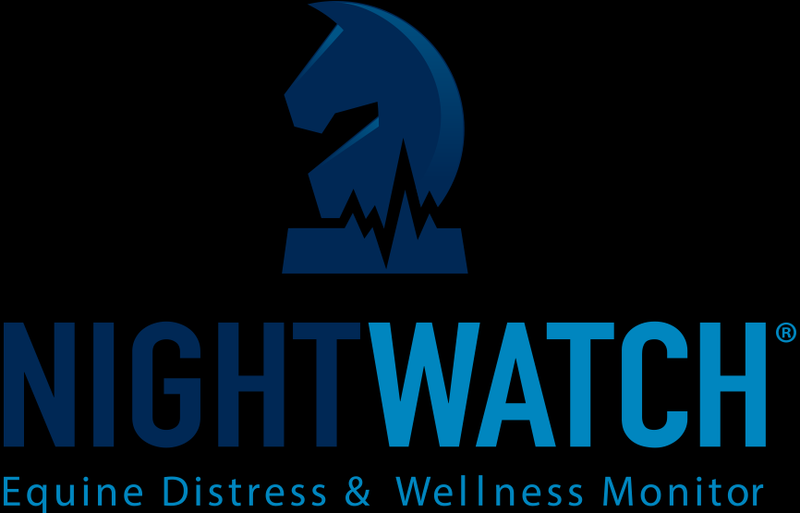 Protequus® Founder & CEO, Jeffrey R. Schab, discusses the genesis of NIGHTWATCH® and the future of this life-saving device. More than 3.5 million horses in the United States are used for performance, which means they are at increased risk for developing colic, getting cast, or experiencing other forms of distress. Unfortunately, signs of distress can be elusive and transient, and often occur overnight or at remote locations when and where caretakers are not present resulting in delayed intervention. Please click on an audio clip to listen. Please click piece to download. PDF will then open in a new window - right click to download.